This contemporary oboe shaper is a reproduction of Bert Lucarelli’s favorite shaper tip, which was originally made for him by Freddy Pfeiffer. The measurements were taken from Bert's choice of the best of four very similar Pfeiffer made tips. Bert describes this tip as "a marriage of a Mack top with the Bloom bottom". It is fatter in the belly and throat than the Pfieiffer/Mack tips, and feels fuller in the bottom octave without sacrificing control of the top of the range. While the original Mack shaper tip is relatively narrow, the traditional Bloom shaper tip was fairly fat by comparison, particularly in the throat. That means this tip is narrower in the top with respect to the throat. It is sold by Westwind with Bert’s permission. Westwind shaper tips—the best shapes made better. Unlike shaper tips made using traditional machining techniques, Westwind shaper tips use state of the art production techniques to ensure unsurpassed consistency, durability, and symmetry. Our precision production techniques ensure consistency. If you ever break or lose your tip, you can get another one exactly like it. Our tips are made of the highest-grade tool steel and the ears get a special treatment to improve durability. If your tip ever breaks, simply return it and we’ll send you a new one. No questions asked! All of our shaper tips are perfectly symmetrical across the centerline in order to reduce the risk of leakage on one side of the reed. A 30-day trial is available for this shaper tip. Humbert Lucarelli was cited by The New York Times as "America's leading oboe recitalist" and has appeared extensively as soloist with internationally known orchestras and chamber music groups throughout the United States, South America, Europe, Australia and Asia. He has performed and recorded with some of the world’s leading conductors including Leonard Bernstein, Arthur Fiedler, Kiril Kondrshin, Josef Krips, James Levine, Dimitri Mitropoulos, Artur Rodzinsky, Sir Georg Solti, Leopold Stokowski and Igor Stravinsky. He records for Koch International, Vox, BMG Classics, Well-Tempered, Stradivari and Special Music. Among the many recordings to his credit is the Oboe Concerto written for him by John Corigliano. He is the recipient of a Solo Recitalist Fellowship, Consortium Commissioning and Music Recording Grant from the National Endowment for the Arts. 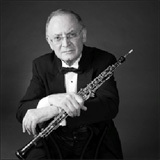 He is a professor of oboe at The Hartt School in West Hartford, CT. This medium shape is a good match for my oboe (AK Loree) and for my style of playing. I am able to make blanks that seal and reeds with depth. It sits very slightly out of alignment with the jaws on the shaper handle, but is otherwise easy to use. This is the tip I keep coming back to. © 2009 WestWind Double Reed, All Rights Reserved.